Angela is the Chief Operating Officer for Novus Public Affairs where she uses her high-level ability to think creatively and to plan strategically to lead the business in meeting its growth goals. Her in-depth understanding of the financial aspects of the small business climate and advanced-level practice area expertise has helped Novus succeed. Sought after for her ability to develop and evaluate top-line strategy, she has successfully served in this capacity for several companies-large and small. 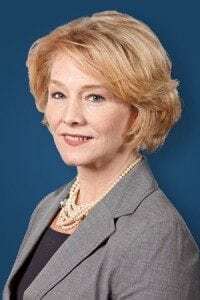 A respected leadership professional and graduate of Leadership Seacoast, she was recently elected to serve as Chairwoman of the organization’s board of directors. Selected because of her extensive management expertise, she will oversee all governance issues and assist the organization in improving its performance, recruiting, and strategic planning. Angela oversees Novus’ finances, administration, and client workflow of the company and is responsible for developing internal and external operating strategies, assuming responsibility for the good standing of the Company, and continually improving the firm’s infrastructure.